People are already talking about wanting to be in a second Passion for Place book! 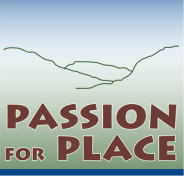 Passion for Place II will feature stories from children and adults around the Monterey Peninsula with a focus on their relationship to the Carmel River Watershed and its connection to the Monterey Bay. Contact Paola Berthoin through this website for more information on how you can participate.